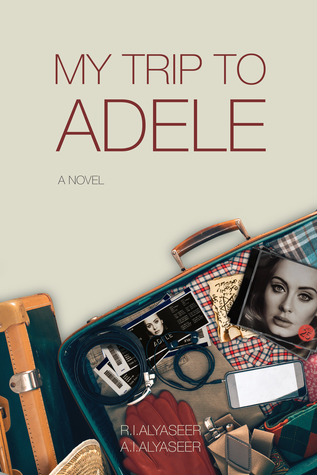 An Adele concert held in Verona becomes the focus for an unhappy married couple, a divorced mother and a devoted lover from three different countries and cultures. I loved this one!! I went into this book thinking it was some “frivolous” read, but I was so taken aback by the breadth of cultural insights and ethical issues it covered. From local sights and sounds of Morocco to the women standing up against patriarchal “family councils” in Jordan – I loved how none of the “dilemmas” felt manufactured. I mean, the whole time you really do wonder about what decisions they are going to take next and how “right” or “wrong” it is. My favorite story was Nadia’s because of the sheer simplicity and bluntness of its message in the end – Happiness and freedom don’t run in parallel. Sometimes you just have to keep bartering one for the other based on priorities. I don’t prefer books which end up reading like religious fiction, but in case of Yaser’s story, I didn’t really mind it. Because, more than “religion-specific” it was more about faith and belief in higher power and making a marriage work when one of the thornier issues between the couple is that one is an atheist and the other is a staunch believer. What happens when your belief system is completely different (or non-existent) from your partner but you are not honest about it because you want to make your marriage work? This is the story of Yaser’s marriage with Mariam. His feelings of suffocation within the monotony and acrimonious daily nature of his life with Mariam was well written.. maybe too well. Which is why I couldn’t understand the rationale behind his decision in the end… It felt rushed, and completely contrary to his state of mind some hours ago..
Elias’ story is probably the one I least connected to. I liked the all the backstory of his connection with Malika, but his final thoughts as the story concluded was .. well it was something I had to read twice to understand.. I mean, I didn’t get what was going on in his head though it was all written.. Did he feel foolish about his search? Was he upset or disappointed that the love he imagined in his head didn’t translate into the same reality? Note : I received this ARC from the publishers via the Reading Room (https://www.thereadingroom.com/) giveaway program. Thank you Penguin Random House (Crown Publishing)! The story starts off on a pretty intriguing note – We are introduced to East, who is only fifteen and running a crew comprising other teenagers, all tasked with keeping watch outside a crack house and alerting its members in the event of an approaching police raid. East is employed by his uncle Fin, who owns many such houses, and when the house that East is supposed to watch, is discovered and raided, Fin sends East on another mission. East agrees, in an effort to redeem himself. He soon discovers that he is in for a very long roadtrip, and a harrowing one, from LA to Wisconsin, with his half-brother Ty, UCLA dropout Michael and a tech geek Walter. The book is pretty descriptive and detailed in a lot of ways; in terms of how street gangs are run, the hierarchy and people. It was so unsettling to see boys who should be in school, being so comfortable and exposed to such a world. Ty sort of freaked me out, he seemed to be someone totally closed, cold and ruthless .. I had to keep reminding myself that he is just a thirteen year old kid! Beverly was pretty effective in communicating the ugly, cruel existence and reality of some lives, and how it is practically impossible to turn around or change their financial situation, especially with absent, irresponsible or weak parents. And then on the other side, you have the slightly older boys, Michael and Walter, who seem to be throwing away all the good things they have; choosing to make money this way than live honest crime-free lives. There was one particular chapter, early on in the book, when my heart went out to East. We get a glimpse into the house he has to go back to, where he has spent his early years, with his mom and Ty. It is dirty, unkempt, the kitchen is empty, with ants scrambling and cold half-cooked eggs being the only thing available to eat. His mom seems to have shut herself off to what exactly her boys do out there in the real world, meekly takes the money handed by East, and tells him as goes out again “I know you ain’t in no trouble. My boys ain’t”. I also liked all the reflective bits where East is thinking back and wondering just what happened between him and Ty and whether there was a particular phase they drifted apart, or did any sort of kinship ever exist at all. Despite some moments like these which stood out for its blunt and raw exposition, it just wasn’t enough. The descriptive and detailed narrative of East’s journey, both literal and metaphorical; ended up being this book’s weakness more than its strength. I found the pace too slow with a lot of repetitive and drawn out moments. I think I would have liked to see more of Ty, and more conversation between Ty and East. Michael irritated me as much as the boys, Walter was okay. 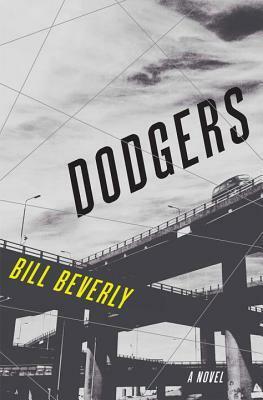 Now that I look back, I can appreciate the book’s originality in terms of prose and narrative, but as a reading experience, by the time I finished the book, I was as exhausted as East was by the end of his LA-to-Wisconsin roadtrip. Why should a man care for his parents when they failed to take care of him as a child? Oh, how I loved this book! It reminded me of everything that I love about literary fiction with messed up family dynamics at its core. 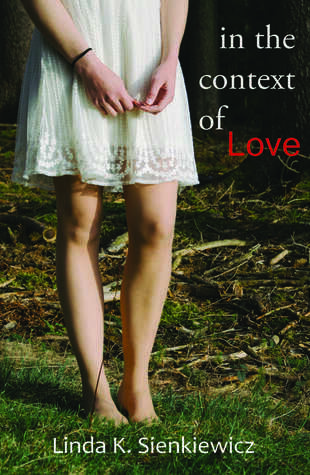 The book bristles with a frenzied, unsettling energy, with unhappy people, unhappy marriages and .. uneasy silences. At the heart of this story is Kyung, a Korean-American, estranged from his parents, and who has maintained a distance from them for over two decades and kept contact to a bare minimum though they stay only a few miles apart. But a brutal robbery and attack at his parents’ home changes everything – his father is left bruised with a broken arm and his mother and their housekeeper are raped. Overnight, Kyung’s perfect facade of keeping up appearances of a normal family is shattered as he is forced to confront the fact that he has to step into the responsibilities of a son, something he has tried to stay away from for years. Kyung is conflicted, confused and angered by the strange, changed situation. He is bewildered with Jin’s closeness to his grandson, and wonders why he never had the same equation with Kyung. He is frustrated with Mae’s aloofness with Kyung, even after all these years, and even more puzzled to see Jin and Mae distant with each other. He is surprised to see Mae not acting like a subordinate to his dad anymore. He wonders what has he missed and doesnt know how to deal with everything – his parents, the Korean Church folk who take over his home and seem to do a better job of “caring” for his parents, his wife Gillian, who tries to be “understanding” of Kyung’s dilemma, but for all of her pop psych talk and self help advice, doesnt really “get it”. She doesnt get why he is rigid about not “forgiving” his parents. Why he is unable to move on. Or maybe Kyung does a bad job of explaining it. Because he is not able to explain it to himself in the first place. And Kyung feels, Gillian is swayed by his dad’s financial help as a compensation for all their trouble, and that makes him feel more uncomfortable with everything. I think it is not until I finished the book did I fully appreciate how fitting and contextually loaded the title of the book is. It means so many things, and in some ways, nothing; atleast for Kyung. 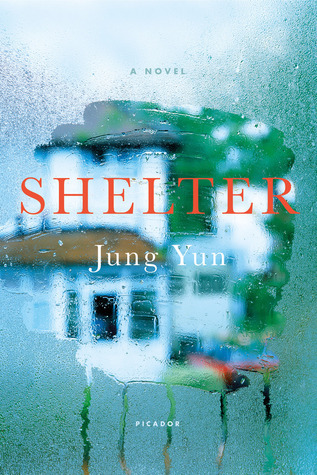 What is Shelter supposed to mean or signify anyway? A roof over your head to give you a sense of security? Well, Gillian and Kyung’s current home has brought nothing but constant financial burden through mortgages and bad loans, that they have always tried to play catch up with. Is shelter supposed to remind you of your roots, the first safe place that you look back and think of with fondness? Well, if you ask Kyung, that can’t be right either. The only memories he has of his parents’ place is his dad hitting his mom and his mom in turn hitting him as a means of taking out her frustrations of being trapped in a bad marriage in a new country. Is it meant to be a getaway vacation home for a family to enjoy and destress? Well, Kyung’s dad does have one in New Orleans, but as it turns out, Mae lost interest in that home ages ago, once she finished playing her role as an interior decorator and couldnt pretty up the place anymore. But the current Mae is different, changed by the recent events. She can’t bear to stay here in or near her current house any longer and wants a change in environment. Gillian and Kyung’s in laws are thrilled with the idea, and go along with Kyung’s parents.. but Kyung can’t stand the idea of travelling with everyone and making forced conversation. However, he does join them later when he cannot delay it anymore. What happens next is an outburst from Kyung, of pent-up grievances and complaints, with tragic and irreversible consequences. I finished this book a few days ago but I couldnt immediately type down a review. And I feel like there is so much more that I want to say, but I am not able to, maybe because I have delayed the review a bit, so I feel like there is so much of the “immediate reactions” to the book that I am not able to recall entirely and put it in words. But I will say this – it was a wonderful read with some characters you would care about and wish that their lives turned out differently. There were a few things that I didnt like much though. Kyung ends up doing something impulsively and I just felt that.. that was an unnecessary add-on to the story.. because it is something irrelevant and independent of Kyung’s circumstances, or atleast that is how I judge it. So Kyung lost some major sympathy points from me there. Okay, to Yun’s credit, she didnt justify or “explain” it, but I guess I was so invested in Kyung’s hard-done-by arc, that, this kind of burst the bubble for me. Another thing I didnt like is the book’s final moments. I did get and appreciate the thought behind it, but I found it a bit schmaltzy rather than impactful. All this doesnt dilute the overall effect of the book though, and I guess the best part of this story is the ample room for grey. Do let me know what you think of this book if you get around to reading it .. maybe you are going to see the Chos differently. Reality TV stardom. Garage band dreams. Through the lens of his camera, news photographer Daniel Evart sees a world in which opportunities are evident and success is clearly defined. If only life was that simple. 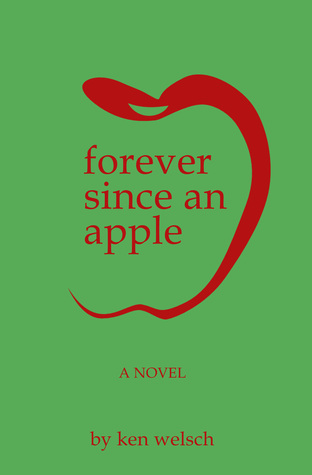 Set on a fictional college campus in rural northwestern Michigan, “Forever Since An Apple” tells the story of how Daniel struggles with early-adulthood confusion and learns to define his own measure of success. Daniel is just a week away from graduating in Journalism from the Great Lakes University (GLU) located in the fictional town of Wanishing. He and his friend+roomie+GLU-ite Ebner have been working for Campus Telegram, a small-time local newspaper run by GLU folks, over the past one year. Most of their assignments are a mix of mundane and mildly interesting until the last week of semester when they get a new and exciting feature to work on – a reality show which is going to take them Chicago. What follows next is a short road trip, a week-end of observing the idiosyncrasies of a reality show up close and personal, and the aftermath. The book is a little bit of many events, all meant to be instrumental in nudging Daniel to, in Ebner’s words- “not do nothing”. You see, he has so far been perfectly okay to just go with the flow of things, photographing events for the local newspaper, that he hasn’t really dreamt anything big or flashy or pondered over the huge “questions of life”. Ebner is the flamboyant counterpart to Daniel’s “ordinary” self – he cannot see himself stuck in the rut of wherever the natural progression of his career graph would take him. He has already planned things out to start his own designing/advertising venture after the end of next semester and has roped in Daniel to take care of the graphic designing and photography part. I must say, Ebner was probably the most fun character to read about. I guess, he was intentionally written that way – the kind of guy who can command attention and make any event all about him. So coming back to all the little events and characters in the book, there is Darren, another GLU guy who is participating in the reality show, and the reason Daniel and Ebner were sent to Chicago to cover the show. There is Sidney, who is Daniel’s best friend in class and whom he somewhat harbours feelings for. There is Jim, a parks and rec director, who is married with two kids and another one on the way. To Daniel, his is an almost picture-perfect life, filled with love, laughter and companionship. There is Peter Spellman, an aged editor and Daniel’s boss at the Mirror, where he takes up a job after college. It is funny, but what I have seen or observed is that most of the time no amount of pushing or goading really works when you want someone to pursue something, it can be something as simple as a hobby or as huge as changing your professional path. Sometimes, it is just a series of events that fall into place (the whole “right place at the right time” phrase) or sometimes it is just that one fleeting moment when you feel like someone has smacked you hard right across the face to see what was always in front you and wake up. The same thing happens with Daniel, and ironically what shows him the mirror (literally) is photography. I really liked that moment. I think what sort of bugged me is that some story and character arcs just felt unfinished and half-baked. Like, I never really understood what the whole Sidney-Daniel deal was. I think she was supposed to be like some sort of talking conscience for Daniel to have a conversation with, but her function in the storyline was as vague as her ad-hoc poetry. And then there was this whole reality-show plot which is supposed to be the running background on which this novel is constructed. Again, I never understood what the takeaway was from the whole experience of being privy to insider info. Disillusionment? Bewilderment? Envy? I guess what didn’t sit well with me is how things were left open to interpretation. I would have liked some sort of definite answers. And now that I look back, I don’t think the reality show played much of a part in enabling Daniel to make decisions, let alone being a tipping point. So while some things didn’t work for me, I will say that it was a pretty breezy read. And if you like stories which give you a part road-trip and part slice-of-life and coming-of-age feel, made of everyday characters and occurrences, this book is probably right up your alley.